Family lore says that something was "different" about Andrew. He lived for a while with his grandparents and the story goes that he wasted away in an institution. So sad. 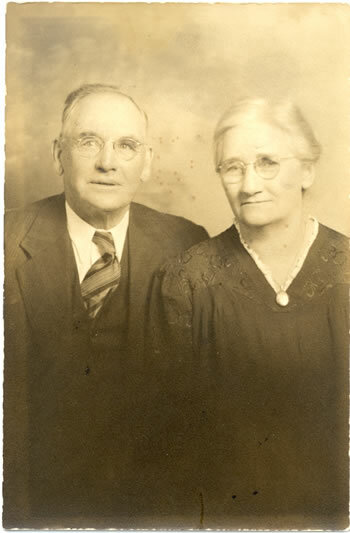 This picture was taken to commemorate the 50th wedding anniversary of William Daniel Conroy and Bertha Evelyn Tupper. They were married on 28 Apr 1899 and went on to have thirteen children (including my grandmother, Alyce). William was the son of Michael and Bridget (Lyons) Conroy. Poor Bridget died when William was only six months old, so William was left with her parents and Michael moved to the US to find work. Bertha was the daughter of Robert G. and Ruth Elizabeth (Bentley) Tupper. 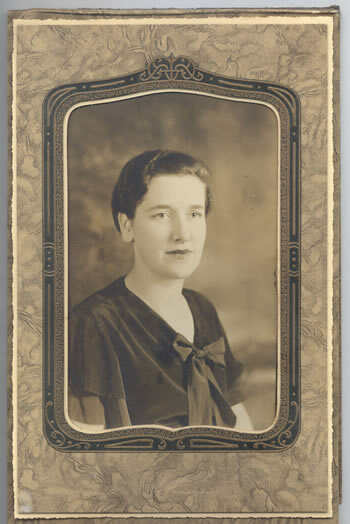 This is my grandmother, Alyce Greta Conroy (soon to be Mrs. Clyde Lester Weir), when she was about twenty years old. At the time, she was in nurse's training in Dartmouth and had just met my grandfather. Alyce was the daughter of William Daniel and Bertha Evelyn (Tupper) Conroy. This picture is mounted in a folding display-case sort of contraption. Just below the picture is an impression made by the photographer, but I can't make anything out but "Halifax, N.S." Aren't they lovely? 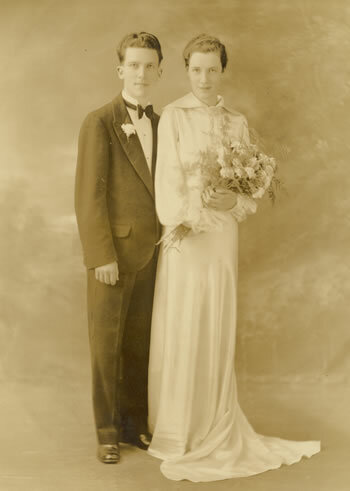 These are my paternal grandparents on their wedding day, 6 Jun 1936. They met while in nurse's traning in Dartmouth, and they married in Halifax. The groom is Clyde Lester Weir, born 23 Jul 1912 in Scotch Village, Hants County, Nova Scotia. He died just a few years ago, on 28 Nov 2001. The bride is Alyce Greta Conroy, born 2 Apr 1914. 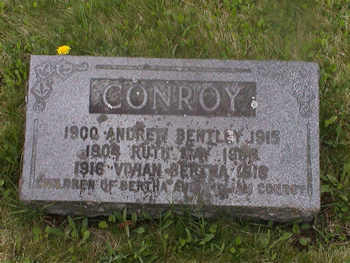 She was the daughter of Bertha Evelyn Tupper and William Daniel Conroy. Alyce died on 15 Sep 1999. That means they were married for 63 years. They had two children and four grandchildren, and now have seven great-grandchildren.